Merry Christmas, Happy Chanukah and a great festive season to all the wonderful QuizzaMe players and venues. 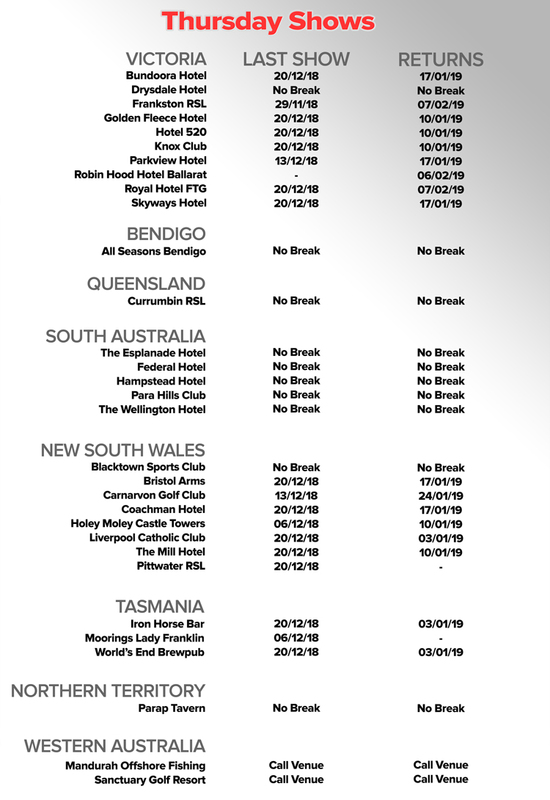 There are some venues that are taking a small break over the Christmas/New Year period, please see below. This page will be updated as applicable, so please check back for any updated information. The dates are listed as the LAST SHOW for 2018 and then the FIRST SHOW BACK for 2019.